Resembling a carriage, the pipe grapple has two arms that fold down onto the pipes, securing and preventing the load from rolling off or tipping sideways. This allows operators to transport pipes securely from point A to point B.
Telescopic handlers, also known as “telehandlers,” entered the market nearly 40 years ago and are now among the most versatile equipment in the construction industry. Originally, telehandlers were designed to only lift loads on a simple carriage. However, with a plethora of different attachments, telehandlers excel in a variety of tasks across many industries, from agriculture to industrial. The possibilities when designing attachments are endless. Engineers are always thinking of ideas for attachments that would serve new applications. Customers also have pitched ideas to manufacturing firms and original equipment manufacturers, explaining the type of work that would be accomplished with the attachment — helping design engineers develop a piece that gets the job done. JLG Industries Inc. offers more than 25 telehandler attachments to satisfy the bulk of end-users. Many of the attachments are common among manufacturers, but others offer a variety of unique attachments to meet new needs. Some of the more unique telehandler attachments include the pipe grapple and the 180-degree swing carriage. While telehandlers are designed to lift objects, it is sometimes difficult to transport long pipes from one end of the job site to the other. If items are not completely centered on the attachment, pipes could fall off and travel speed could be severely limited. Recently, contractors in the oil and gas industries requested an attachment that would hold pipes in place and help operators meet time constraints. The pipe grapple was designed for this purpose — to handle various pipe diameters and lengths without failure. Resembling a carriage, the pipe grapple has two arms that fold down onto the pipes, securing and preventing the load from rolling off or tipping sideways. This allows operators to transport pipes securely from point A to point B. If no items need to be held down, the arms can be placed in an idle, vertical position. The telehandler can then be used for typical palletized loads. While the pipe grapple is known for its use in the gas and oil industries, it has been used in many other trades. With its ability to carry regular loads and pipes across a job site, the attachment is ideal for a variety of jobs. Telehandlers are large vehicles, but sometimes need to get loads into minuscule areas. The 90-degree swing carriage was designed as a solution to this problem, but is limited in its swing (45-degree swing to the left and right). 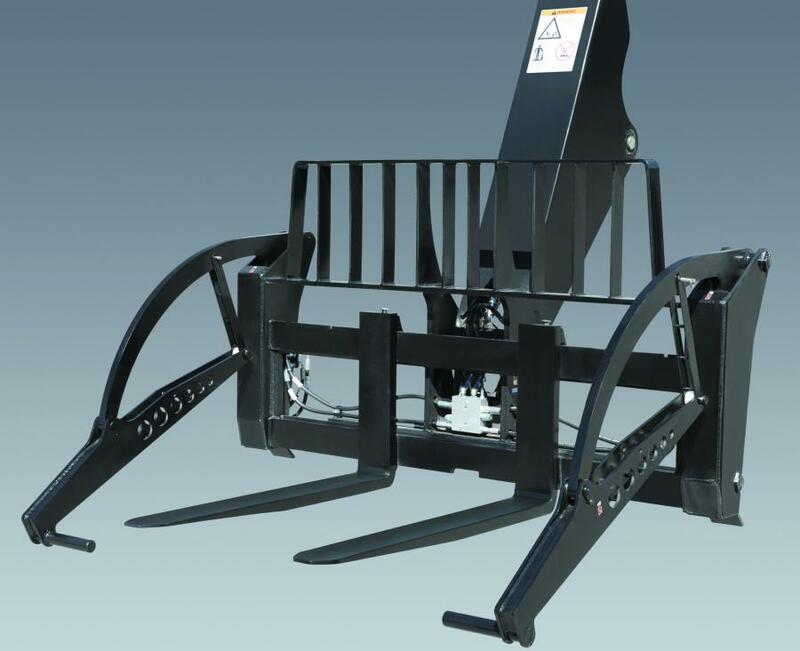 To give operators more flexibility while working in tight spaces, the 180-degree swing carriage was developed. The 180-degree swing carriage is an offset pivoting attachment, allowing operators to rotate outside the machine's wheels. If the attachment was centered on the end of the boom, the load may interfere with the machine's structure or the operator would need to lift the boom to avoid interference. 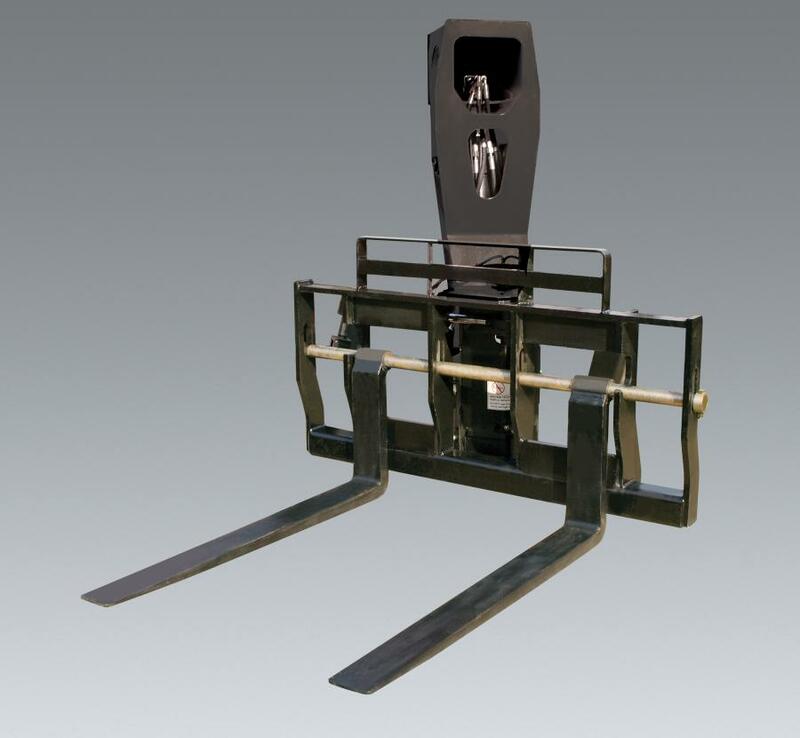 Instead, the swing carriage is designed to allow operation when the boom is extended and retracted. The 180-degree swing carriage was designed to permit the maneuvering of loads through openings and tight spaces, like windows and scaffolding. If the telehandler is unable to fit through a restricted space, such as between two buildings, this attachment allows operators to manipulate the load at the end of the boom and place it in the desired location. Attachments are the key to telehandlers' usefulness, versatility and low total cost of ownership. All the finest features — such as high gradeability and great fuel efficiency — can be included on the machine, but the proper attachment is key to getting the job done efficiently and effectively. A wide array of available attachments lend telehandlers to countless tasks across many industries — it's no wonder they are considered “the Swiss Army knife” of construction equipment. Rogério dos Santos is the director of engineering of JLG Industries Inc.